Assistant Professor in Power Systems. Dr. Theofilos Papadopoulos was born in Thessaloniki in 1980. He graduated from the School of Electrical and Computer Engineering of the Aristotle University of Thessaloniki in 2003. He received the Ph.D. degree in 2008 and also held the postdoctoral position until 2014 at the same School. During 2010-2011 he was an Adjunct Lecturer in the Department of Automation in the Alexander Technological Institute of Thessaloniki, while during 2011-2014 he was an Adjunct Lecturer in the Department of Electrical Engineering of the Technological Institute of Western Macedonia. Also from 2011 to 2014 he worked as a consultant in the area of Renewable Energy Sources. He was also a visiting researcher in the University of Strathclyde, Glasgow, Scotland during 2012 and 2013. 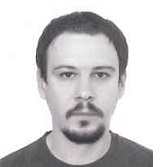 He was appointed as Lecturer in the Department of Electrical and Computer Engineering of the Democritus University of Thrace in September of 2014. Since 2017, he is Assistant Professor in the same department. He has participated in several European and national Projects and he received the Basil Papadias Award for the best student paper, presented at the IEEE PowerTech 2007 Conference, Lausanne, Switzerland. He is a member of the National Chamber of Greece, IEEE and IET.